Caring for flowers isn’t difficult when you have the right tools for the job—knowledge. Here you will find plenty of information on how to grow flowers and basic flower garden care. From flower garden planting to handling problems with pests or disease, the following articles will help guide you throughout the entire process. So let’s continue the journey together and find out more about caring for flowers in the garden. That unexpected, but brief burst of blooming color you see as winter ends likely comes, at least in part, from spring ephemerals. 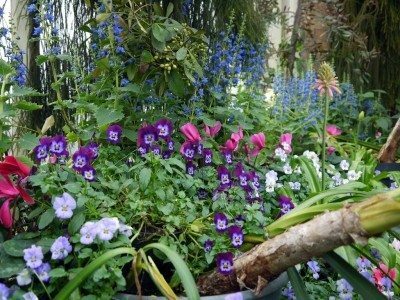 Click here to learn how to add this burst of color to your late winter landscape with perennials that bloom in spring. Whether you're planning a festive summer party or just looking to get creative on cocktail night, floral ice cubes are sure to impress your guests. Putting flowers in ice is not only easy but a lovely detail that will make your party goers take notice. Learn more in this article. Perennial plant pruning is almost always an important part of plant culture. For more about the reasons for pruning perennials, as well as tips on how and when to trim perennials, click on the following article. Growing wildflowers in your yard or garden is an easy way to add color and beauty, and to develop a native ecosystem right in the backyard. If you have a wet or marshy area that you want to beautify, you can find several moisture loving wildflowers. Here are some suggestions. As the cold temperatures and gray days of winter start to wear you down, why not look forward to spring? Now is a great time to start planning your garden but also spring decorations and flowers. Growing flowers for Easter is one idea. Learn more here. Although using flowers for Passover seder is not a traditional requirement or an original aspect of the celebration, since it falls in spring many people like to decorate the table and room with seasonal blooms. Learn about using Passover flowers in this article. Balancing flowering perennials in the garden can be tricky. You want to have blooms that go all summer and into the fall. Another strategy is to choose perennials that bloom all summer. This article can help get you started with that. With proper planning, you can harvest flowers from your cut garden almost year round to decorate your home. So what are good flowers for a cutting garden? Click this article to find out more about suitable plants for a cutting garden. Companion planting is a great way to give your vegetable garden a completely organic boost. Companion planting with flowers is another great method, though often the reasons are more aesthetic. Learn more about using flowers for companion plants here. Septic drain fields pose a difficult landscaping question. It may be the only space available but not just anything is safe to grow on a septic drain field. Learn more about picking suitable plants for septic systems in this article. Cold hardy annuals are a great way to extend the color in your garden into the cool months of spring and fall. In warmer climates, they?ll even last through winter. Click the following article to learn more about good annual plants for cold climates. What are self-seeding perennials and how are they used in the landscape? Perennials that self-seed not only regrow from the roots every year, but they also spread new plants by dropping seeds on the ground at the end of the growing season. Learn more here. One of the most frustrating things as a gardener is when strong winds or heavy rains wreak havoc on our gardens. Many times, after the damage is done, there is no fixing it, and you're left kicking yourself for not supporting the plants earlier. Click here to learn more. Gardeners tend to get a little nervous about lime green perennials, which have a reputation for being difficult and clashing with other colors. Don?t be afraid of experimenting with chartreuse perennials for gardens. This article can help. Unfortunately, many times when we till the ground for new planting beds, we are also stirring up weed seeds that quickly germinate in regularly watered soil that is exposed to the sun. Use this article to learn how to stop weeds using flowers. It?s frustrating when your favorite flowers are here today gone tomorrow but thanks to the hard work of plant breeders, many short blooming flower favorites now have reblooming varieties. With little effort, you can have flowers that bloom again. Learn more here. Putting fragrant plants in your garden and around your house can be incredibly rewarding. Of course, some plants smell better than others. Learn more about the best smelling plants for gardens using the information from this article. Are your trees and shrubs starting to look a little neglected? Have your flowers quit blooming? Maybe it?s time for a little tidying up. 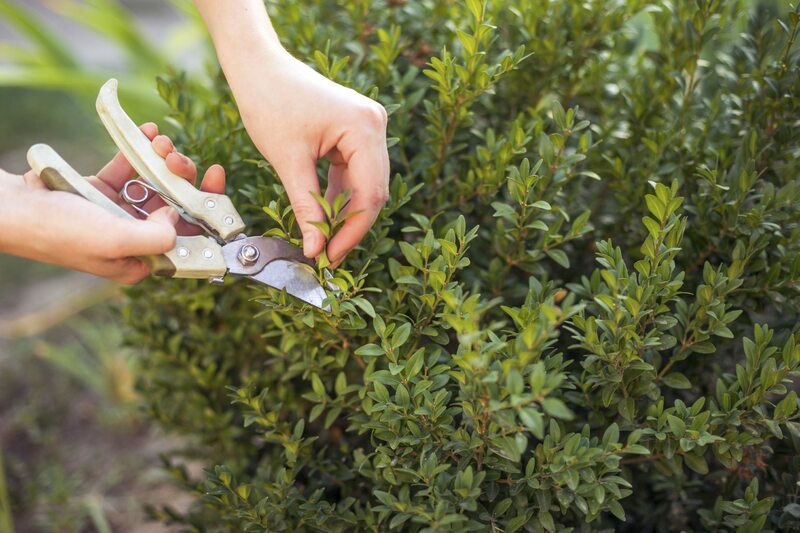 Find out when to trim garden plants in this article. Click here for more information. Just because you can?t devote a lot of effort doesn?t mean you can?t have a beautiful garden. In fact, if you just plant smart, you can save yourself a lot of extra work. This article will help with plants and flowers that require little maintenance. If you?re overwhelmed by the abundance of flower color combinations, narrowing the field to two colors may simplify the process. 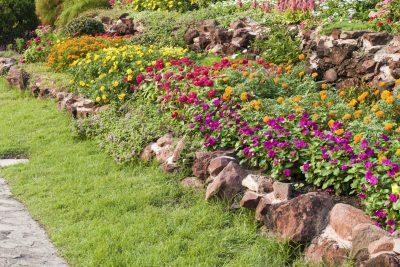 Learn about two-color gardens and bicolor garden schemes in the following article. Click here for more info. Adding color in the garden is more than simply picking a bunch of colorful garden plants. There are a few things that need to be taken into consideration first. Click here to find out what these are and get additional tips to help make this endeavor an easier one. Bulbs sprouting in winter isn?t normal in the cold winter climates. 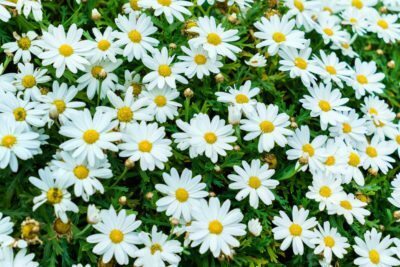 Are early flowering plants safe? What happens when it freezes again? Will the plants be permanently damaged? Will they bloom? This article aims to help answer these questions. The Chelsea chop pruning method is a way to extend your perennial plants? flower production and keep them looking neater to boot. Use this article for more information on Chelsea chop pruning and when it?s done. Winter-sown plants tend to be stronger and more resilient than indoor-sown seeds. This winter sowing guide will help get you started. Click this article for more information on how to winter sow flowers. In the mood for a few autumn blooming plants to liven up your garden when summer flowers are winding down for the season? For a helpful list of fall flowering plants to inspire you, click on the following article. Many of us grow flowers for their pleasant aroma, beautiful shapes and colors but did you know that many of them are edible? It?s time to move flower picking from solely olfactory and visual to picking flowers to eat, but how? Find out here. The only place you cannot find Gesneriads growing is Antarctica. The group of flora encompasses over 3,000 species. What are gesneriads? That is a hard question to answer because the group is so diverse and unique. Click here for more info. Oftentimes bouquets come with flower food, but in the event you run out, you can make your own formula to extend the life of the blooms. The flower food recipes in this article will help get you started so you can keep them fresher longer. Planting under and around trees is a dicey bit of business. This is because of the shallow feeder roots of trees and their high moisture and nutrient needs. 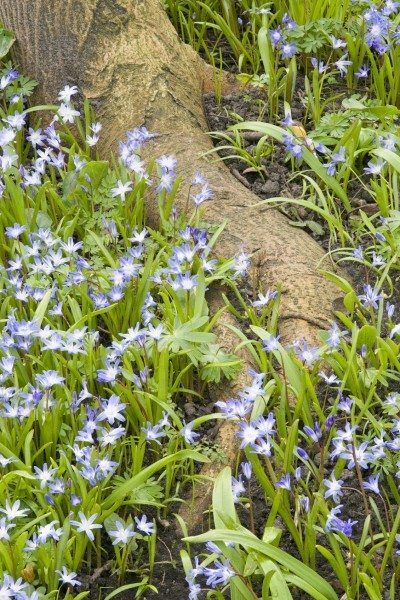 This article provides information for those intent on planting under trees. Why not take advantage of all the scary looking plants and creepy plants by creating a garden themed around the exciting Halloween holiday. If it?s too late now in your region, there?s always next year, so now is the time for planning. This article will help. What are mesophytes? Unlike hydrophytic plants that grow in saturated soil or water, or xerophytic plants that grow in extremely dry soil, mesophytes are ordinary plants that exist between the two extremes. Click her for more info. The best things in life really are free and a great example of that are self-sowing plants. Learn more about growing plants that self-seed in this article. Click here for additional information. When most people think of plants, they imagine a field full of sweetly scented flowers or a garden made of savory herbs. But what about the others - the stinky plants? Read here for more info. Container gardening is the perfect option for people who want a splash of color but are lacking in space. Wildflowers in containers is a fantastic way to garden without fuss. Read here to learn more. Cold climate gardening can be challenging, with gardeners facing short growing seasons and the possibility of frosts occurring late in spring or early in late summer or fall. Get tips on cold climate gardening here. Growing plants from seed is not only easy but also economical. Once you have the method down you will have a cost efficient way of ensuring a garden full of beautiful blooms year after year. This article will help. Mass planting is essentially a method of filling in garden or landscape areas with flower groupings of one or more kinds of plants. Get tips and mass planting ideas for flowers in this article. Planting wildflowers is easy and learning how to care for a wildflower garden is enjoyable. Our wildflower garden is in a raised bed, but you can also plant directly in the ground. Find out more in this article. Gardens aren?t just for spring and summer. Did you know that numerous plants bloom throughout fall as well? Fall flower gardens provide additional color and interest. Learn more in this article. Early spring flowers can bring the color and warmth of spring to your garden weeks ahead of schedule. Learn when and how to plant early spring flowers in the garden by reading this article. 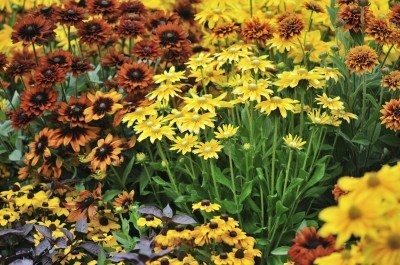 Growing plants in full sun, especially within containers, can be challenging unless you choose varieties that are tolerant of these conditions. Find out what plants enjoy full sun in this article. Keeping cut flowers fresh doesn't have to be difficult. By following some simple guidelines, from this article, you can easily extend the life of those beautiful bouquets. Click here for more info. Flowering Plant Cycle: What Is A Flowering Flush? Occasionally, the horticultural industry uses industry terms on instructions that can confuse the average gardener. Flowering flush is one of those terms. Learn about flushing of flowers in this article. Have you ever wanted to get more out of your garden? Then why not enhance the flower garden with edible flowers. Read this article to learn what flowers are edible and how to grow them. Flower gardens need not be restricted to spring and summer enjoyment. There are many plants that bloom throughout the fall season as well. Get design ideas and plants for fall gardens here. No matter how well you take care of your plant's blossoms, the course of nature demands that those blossoms will die. Read this article in order to get information on removing faded flowers. Growing wildflowers and other native plants can offer your landscape unlimited beauty throughout the seasons. Learn how to use wildflowers and native plants in this article. 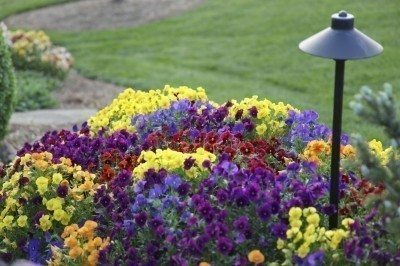 Most annuals and many perennials will continue to bloom throughout the growing season if deadheaded. Deadheading is an important task to keep up with in the garden. Learn more in this article. 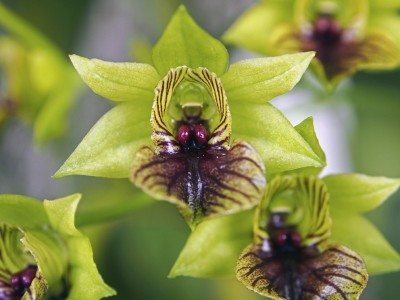 Within a fragrant mood garden, each plant has its own unique smell. Scents can alter your mood in a variety of ways, so when you plan your garden, let your nose decide the arrangements. Get tips here. There are hundreds of reasons to plant a flower garden next season, but you can find my top ten choices in the article that follows. Give them a try in your garden for long-lasting appeal. Perennials offer long lasting appeal and return each and every year. 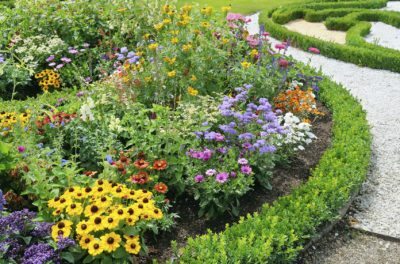 Read the following article to get tips for growing perennial gardens so you can enjoy all your favorite plants again and again. There isn't one gardener I know who doesn't appreciate the versatility and spirit of annuals. Learn more about choosing and growing annual flowers for the garden in this article.